Loucks has nearly 40 years of experience working with regulatory agencies. We understand the requirements and intricacies involved in environmental permitting and the agency approval process. Loucks inspires clients to make the best use of their land by providing environmentally sound design. We collaborate with the project team to provide clients with complete documentation that helps them obtain grants from the EPA, DEED, Met Council, County, and other agencies, and also assists in overall budget preparation. Environmental Services in Action: One example of Loucks’ environmentally insightful site layout and design is our role as project manager at Total Tool. 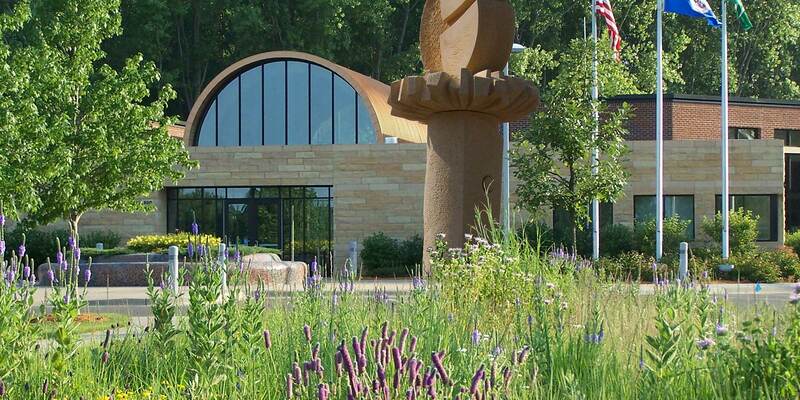 Loucks provided preliminary and construction design engineering, permitting and public agency coordination, project bidding coordination, grant and funding coordination, construction observation and construction staking. Specifically, Loucks implemented a design and construction plan based on an approved RAP which: (1) lowered the stormwater infiltration system below contamination; (2) raised final grades of the site to reduce excavation and hauling of lead contaminated soils; (3) excavated borrow pits in natural sands and replaced with structural contaminated soils; and, (4) staged and/or sorted materials to keep the contractor from mixing “clean” materials with the known contaminated materials. The result? Total Tool’s cleanup costs were one-third of those detailed in a previously prepared design by another firm, which had not fully considered the impacts of the contaminated site.